I had a 2 hour lunch break between classes and went to the North Market. This building is full of stalls full of tasty things. I got the best ice cream from Jeni’s (http://jenisicecreams.com/). Apparently Oprah loves their ice cream too. 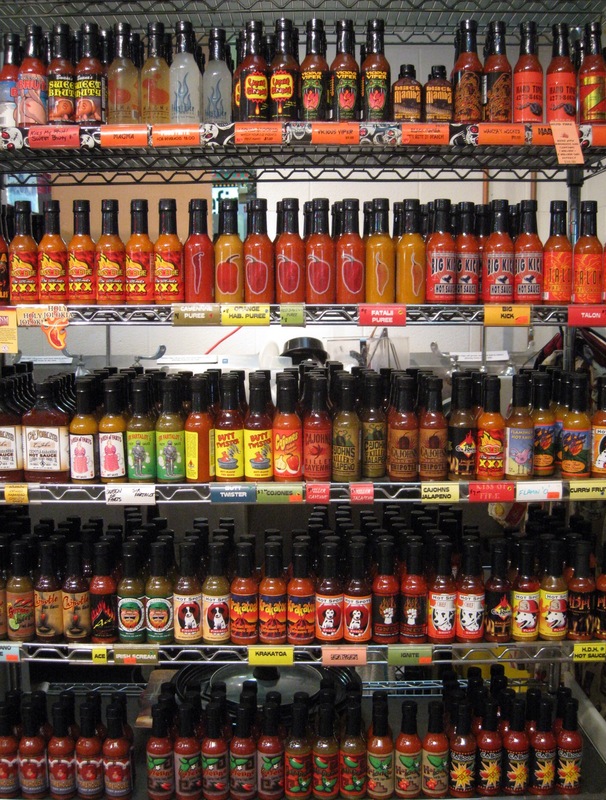 I found a stall full of hot sauces. MY husband and sons LOVE hot sauce. I got got several bottles for stocking stuffers. I’m not saying what I bought as I don’t want to spoil any surprises. I resisted this one but I may have to go back for it tomorrow. Lethal ingestion!? It’s sort of hard to resist. The label for the Lethal Ingestion hot sauce is very scientific. It has the structural formula for capsaicin and its scientific name. Steve would really like that.